The Child Dental Benefits Schedule (CDBS) commenced on 1 January 2014 and provides access to benefits for basic dental services to around 3 million children aged from two to seventeen years. On 15 December 2016, the Minister for Health announced changes reducing the benefits cap to $700. In February 2017, as a result of political pressure, The Federal Government reversed it’s decision to have the eligible amount of benefits downgraded to $700, and have reinstated the original $1000 cap for CDBS. The CDBS has a means test, which requires receipt of Family Tax Benefit Part A. The Country Dentist is able to bulk bill all CDBS Treatments up until any treatment plan exceeds the voucher value. At The Country Dentist we believe it is in the interest of families to make use of the Child Dental Benefit Scheme while it lasts. 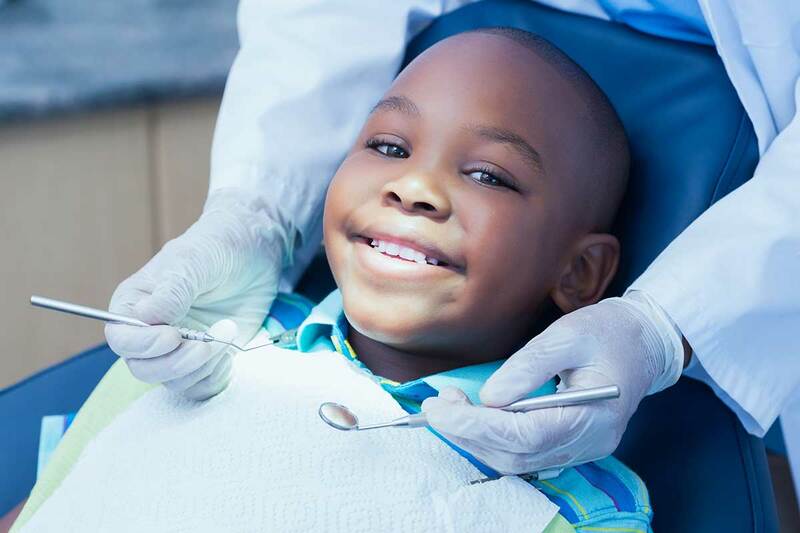 We believe the CDBS is an excellent scheme that allows children to receive dental care when they need it rather than allowing for problems to escalate. It is our view however, that the government is not fully committed to the schemes continuation having unsuccessfully tried to abolish it through the parliament and more recently through reducing the available cap. There are many problems that affect the oral health of children. These include including tooth decay, tongue thrusting, thumb sucking, lip sucking, and early tooth loss. Although baby teeth are eventually replaced with permanent teeth, keeping baby teeth healthy is important to a child’s overall health and well-being. Baby bottle tooth decay (also called early childhood caries, nursing caries, and nursing bottle syndrome) can occur when a baby’s teeth are in frequent contact with sugars from drinks, such as fruit juices, milk, formula, fruit juice diluted with water, soft drink, or any other sweet drink. If breastfed infants fall asleep with unswallowed milk in their mouth, they are also at risk for tooth decay. Bacteria in the mouth feed on these sugars, leading to tooth decay. If left untreated, decayed teeth can cause pain and make it difficult for baby’s to chew and eat properly. Baby teeth also act as “space savers” for adult teeth coming through. If baby teeth are damaged or destroyed, they can’t help guide permanent teeth into their correct position, which could result in crowded or crooked permanent teeth. Badly decayed baby teeth could also lead to a tooth abscess, with the possibility of infection spreading to other places in the body.